How would you like an in depth look at the Birman cat breed profile from an expert? You've always been attracted to Birman cats and just want to make sure the breed is right for you before finding a kitten. 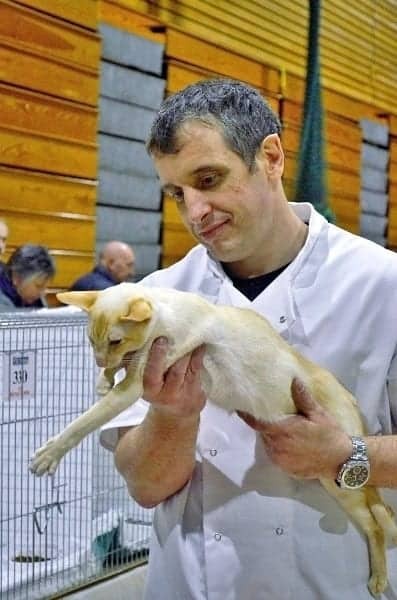 So as a GCCF cat judge and huge fan of Birman cats I am sure I can help. Let me introduce you to the wonderful Birman cat breed. There probably isn’t another breed of cat so enchanting, so gentle and quite as mysterious as the Birman. This highly prized breed of cat looks like a cross between a Siamese and a Persian, with its beautiful long coat and contrasting points colour. However, it is unknown exactly how this breed came into existence. With their beautiful blue eyes and their adorable little white socks it is easy to see what makes this breed so attractive. This friendly and playful breed make great companions and are a good breed of cat for respectful children. 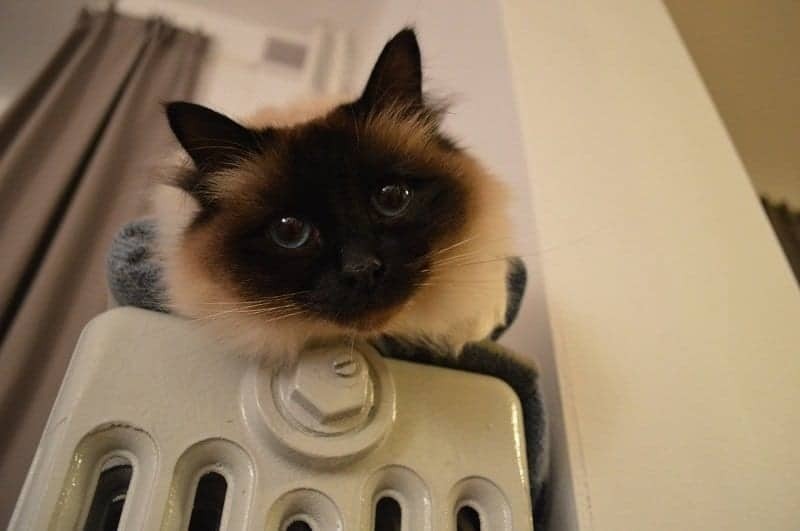 True to their mysterious reputation, little is known about how the Birman Breed came about. What we do know is that this breed appeared fairly recently in Europe, with the breed originating in France. The very earliest Birmans are said to be a cross between a Siamese with white markings on its paws and longhaired cat, probably a Persian or Angora. Some stories claim that travellers brought back a pair of cats from a Temple in Burma, hence the cats’ other name of ‘Sacred Cat of Burma’. During World War II the breed nearly disappeared altogether, but was fortunately rescued by breeders who out crossed their Birmans to Persian cats. Birmans eventually made its way to the UK in 1965 where it continues to be a very popular breed of cat. Birmans are a medium sized breed of cat, with a fairly heavy and slightly cobby looking body and strong, muscular legs. Despite being classed as medium type their appearance is imposing and they look as though they are massive in size. They are a longhaired breed of cat, with a stunning silky coat. Birman cats have a large, broad head that is slightly longer in length than it is in width. Their head should still have a fairly round appearance. They should have a strong, firm chin and a medium length roman nose. Their ears should be slightly slanted and have a rounded tip and should have tufts of fur on the inside. The Birman cat has a much darker coloured face, ears, legs and tail than the rest of their body and have endearing little white gloves on all four paws. Their points colours come in dark brown (seal point), chocolate brown, blue, lilac, red, cream and tortie. They can also be found as tabby and tortie tabby. Their bodies are either white or a shade of cream. Birman cats have a long silky coat, with hardly any undercoat. Their tails are quite long and are decorated with a luxurious looking plume of hair. Birman cats are very social and require active interaction on a daily basis. Just like Siamese cats they are born all white and only develop colour after about a week. A great way to describe the personality of a Birman is well balanced. Birman cats are playful and affectionate, yet at the same time are known for their calm and gentle natures. This breed loves being around people and make great companions, but they know how to be loving and affectionate without being over the top. Birmans get on very well with other cats and are also friendly towards dogs, but do not like being on their own. Their lovely soft quiet voices and gentle natures make this breed of cat a pleasure to live with. They adapt well to most types of home and make great outdoor cats, as well as indoor pets. They even get on well with children. "﻿It is believed that these cats were the sacred companions of priests in Burma and they were awarded their white paws as a symbol of purity for their devotion." Although Birmans are longhaired cats, they need nowhere near as much grooming as a Persian and are relatively easy to groom. A Birman’s lack of undercoat and fine silky fur means that it only needs a good comb through once a week to keep it in tip top condition. It is advisable to do this 3 or 4 times a week whilst they are moulting to keep them looking their best. As with any breed of cat; a Birman should have their claws clipped once a week and their teeth should be checked regularly. Birman cats have very few known health issues, although all pedigree cats are affected to some degree by hereditary health issues. They are generally hardy and healthy, and can be expected to live for over 15 years. 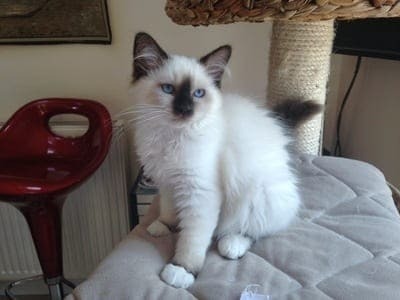 Below are some Birman cat and kitten pictures, please feel free to contact us if you would like to contribute any pictures of your own Birman cats and kittens, we would love to include them! How long do Birman cats live? Life expectancy of a Birman cat is generally good with reported lifespan of up to 15 years. How much grooming do Birman cats require? The coat does require grooming once a week with a little baby powder, comb and brush. Yes, Birman cats get on well with any friendly animal. Birman cats are a smart breed of cat.